There are many institutions that have a mission which includes ethnobiology activities. The activities of these institutions generally range from basic research (which is often field-oriented) to public support. Many of these institutions hold valuable collections (living plants, preserved specimens and literature) which is useful for educational activities. Some institutions have internships for students, particularly for upper-division and graduate students. 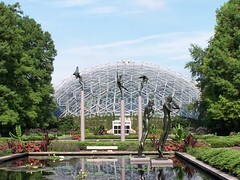 Botanical gardens provide living collections which often include plant species which are relevant to ethnobiology. In addition, many gardens have public programs which include relevant topics, sponsor garden tours and publish useful materials. OSN Comments: Many, if not most, botanical gardens have collections which include plants that are relevant to the ethnobotany of the region. Large collections may also provide examples of important plants which have been brought from elsewhere. The size of the garden is not always a measure of its ethnobotanical relevance. Note that there are many smaller gardens which have very interesting collections. Many institutions have well-developed resources, such as self-guided tours, brochures and short-courses which relate directly to ethnobiology. Herbaria preserve dead plant materials which can be used for study. 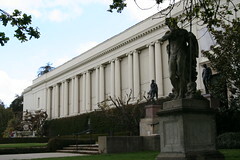 There are herbaria associated with many universities, museums and botanical gardens. In addition, there are some large regional and national herbaria. Major herbaria also provide authoritative names for plant species. Many herbaria also have extensive botanical libraries. OSN Comments: Herbaria are vital to ethnobotany. They are the place that voucher specimens are housed, they provide help in identification and they are a primary source of information about the flora of a region. Increasingly, these herbaria are providing on-line resources (such as digital images of specimens). Several herbaria (which are not part of a botanical garden) have been particularly helpful in supporting ethnobotanical studies. There are several large libraries which house vast collections of botanical literature. Because botany has been an important discipline for many centuries, many of the manuscripts are old and very rare. Wikipedia list of major botanical and horticultural libraries.